There isn’t many more classic soups than cream of mushroom soup, is there? Comforting flavors of cream, earthy tones of mushrooms, a hint of onion and salt. Pair that with some crusty homemade bread or some crackers, and you have an inexpensive, delicious meal. But really, how can it be better? I’ll tell you. 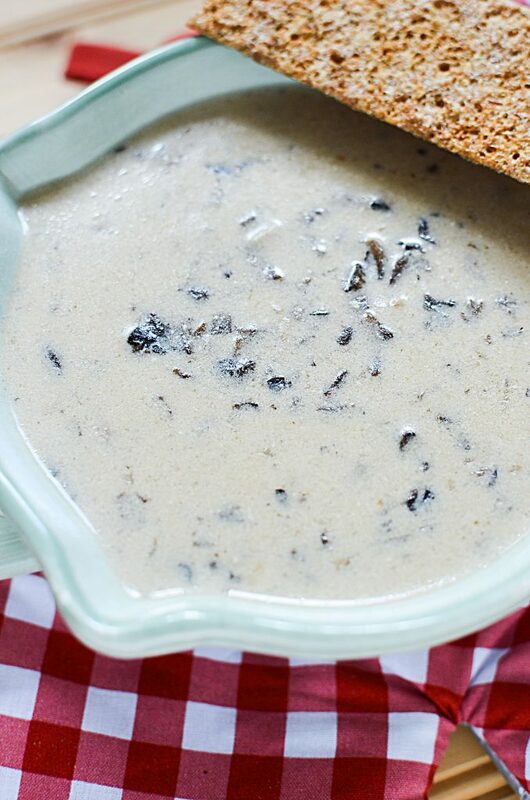 HOMEMADE creamy mushroom soup made in the slow cooker! We all know of the commercially made soup with the rosie faced cartoon kid in the advertising ………. or.. he used to be in the advertisements, way back when. Anyway, moving on from dating myself here, Campbell’s cream of mushroom soup has pretty much set the standard on what a canned mushroom soup should taste like. While it’s pretty darn tasty, there’s no denying the fact that some interesting ingredients have to go into that soup recipe in order for to stay edible within the can. While store bought soup is super handy in a pinch, the beauty of the mushroom soup recipe I’m giving you today is that it has nothing you can’t recognize or pronounce in the ingredient list. It really IS wholesome cream of mushroom soup, and a large part of the work has been taken out of the cooking process because of the slow cooker. There’s one extra step in preparing the mushrooms, but it’s easy peasy and worth the tiny bit of effort with a huge payoff in flavor! Directions to cream of mushroom soup bliss starts here…. This homemade soup starts off with dicing up your mushrooms and onions. You’ll want a fair amount of mushrooms because you know what happens to mushrooms when they begin to cook down. So while it seems like a crazy amount to begin with, when they shrink down, it will be the perrrrrrfect amount for this mushroom soup. 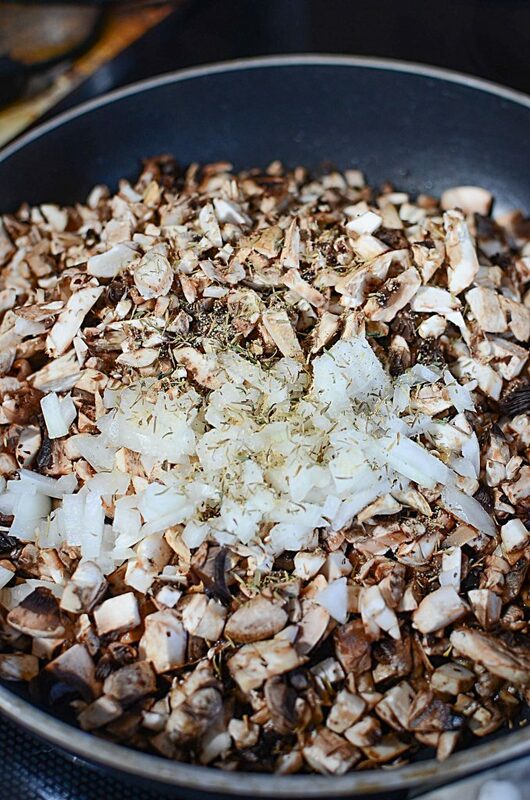 You’ll want to saute those mushrooms and onions in a fry pan to help reduce the water content in the mushrooms. No one wants a watery mushroom soup. Haha.. watery mushroom soup… I mean.. it’s SOUP right? Soup is watery! However, proper soup is never diluted and bland, and preparing the mushrooms this way helps in preventing that. So after sauteing the mushrooms, onions and seasonings, you can add that mixture to the slow cooker bowl. Add chicken stock or vegetable stock and begin the cooking process. I really wouldn’t use simply water. You could, but I think to maximize the flavor here, you’ll want to use a stock or broth of some kind. Don’t use beef though, beef broth will be too strong and overpower the delicate taste of the mushrooms. Can I use any sort of mushroom for my homemade slow cooker soup? You could use a wide variety of different mushrooms, but honestly, I’m not fancy. If you want to have a “shee shee foo foo” fancy soup, you could use chantrelles, porcini, or even seek out some smoked, dried mushrooms to add. And while this would make an undeniably amazing cream of mushroom soup, this girl ‘ain’t fancy. 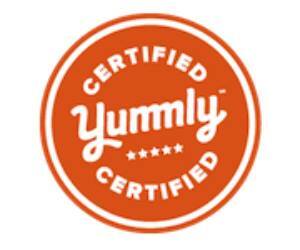 I’m all about simple and easy and yummy. Combination of all three listed above. So back to the slow cooker part. Add your broth and let it cook on low for 7 – 8 hours or high for 4 – 5. We are trying to develop flavors in the crock pot, so that’s why we’re cooking it that long. A half hour before the cooking time is up, add the heavy cream and sour cream combination. Yes, I said heavy whipping cream. Ok ok ok, if you wanted to lighten it up a bit, you could use a table cream or half and half. But really, please don’t use milk. But why can’t I use milk in my cream of mushroom soup? So the last step is add your slurry of cornstarch and water, and we’re off to the races! Both the creams will help the consistency become a bit thicker, but if you want to have that really creamy mouthfeel, then you’ll have to add the slurry. It doesnt affect the taste at all. If you’re ok with the thickness of the soup after adding both the whipping cream and the sour cream, no worries, don’t add it. Lastly, please taste your soup before serving. Most likely, it will need some salt…. maybe some pepper,.. but I’m pretty sure it will need salt. Add as you go and taste, so you have the right amount of saltiness that you like. 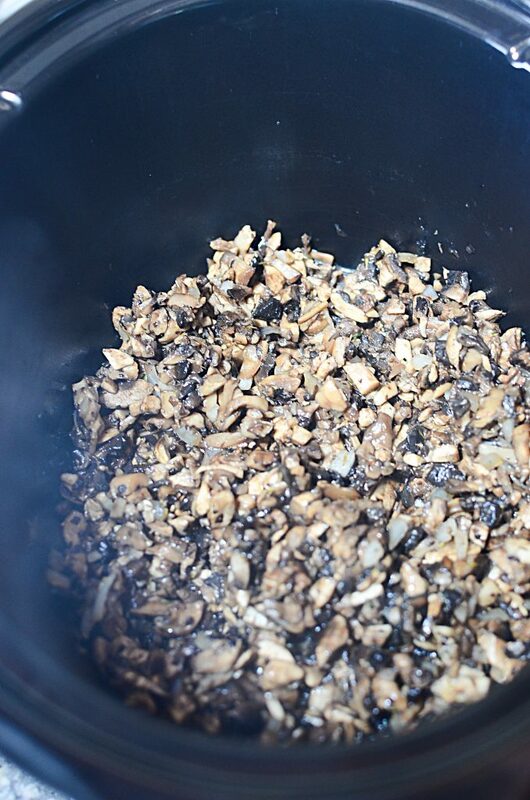 The salt will enhance and deepen the flavor of your soup and bring out the flavors of the mushrooms. I think the next type of soup “ll try to make is a good old fashioned cream of chicken soup. I have a few other slow cooker soup recipes on the blog like my creamy crockpot chicken and rice soup recipe, or this hearty slow cooker smoked ham hock and peas soup. 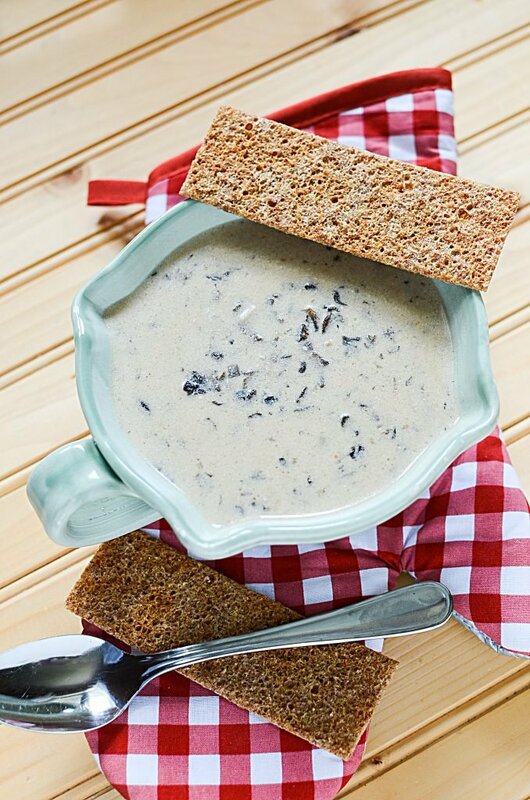 Both of those soup recipes are just as yummy, wholesome, and delicious as this creamy mushroom soup recipe. 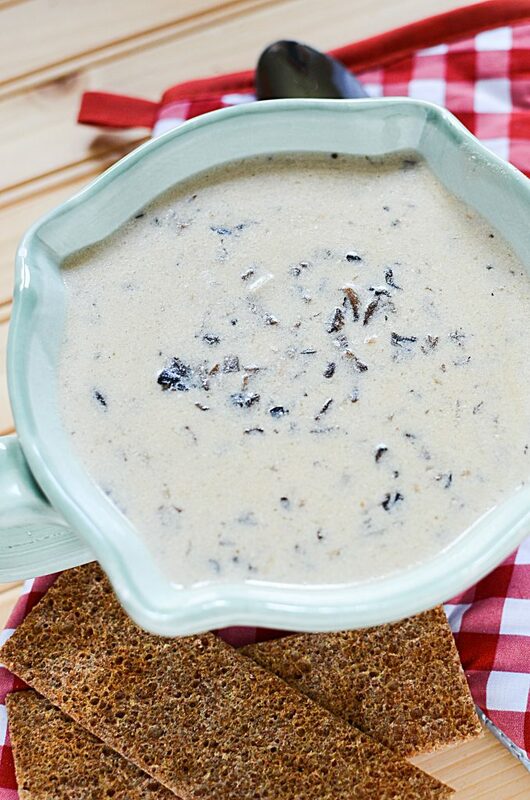 So you can see that this slow cooker creamy mushroom soup is a snap to make. Yes, it’s not made in a snap.. but the length of time it takes to make it is worth every single spoonful you bring to your mouth for that comforting mushroom goodness. This oh so familiar and easily fixed, homemade soup is seriously a million times better than the canned commercial version! 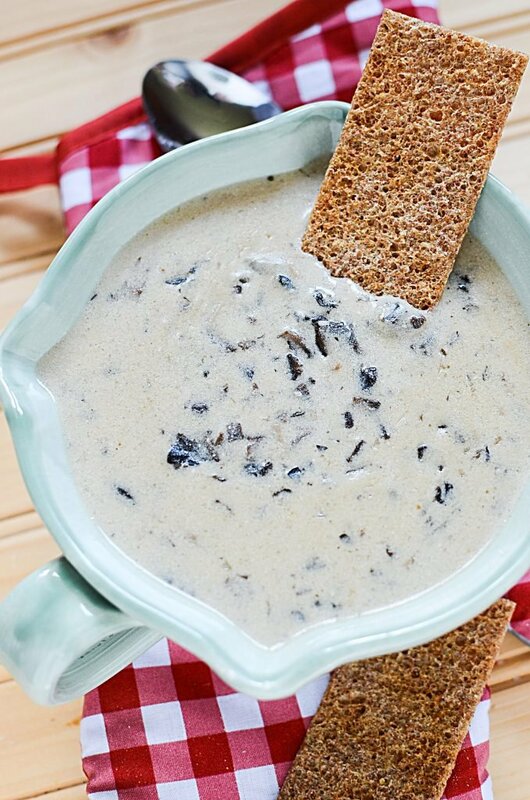 Wholesome ingredients you can pronounce, comforting flavors, and easy on the pocketbook, this homemade mushroom soup recipe is a keeper! 1. In a frying pan, melt the butter, add the mushrooms, onions, thyme, salt and pepper. Saute until the mushrooms are soft and the onions are translucent. 2. Transfer the mushrooms to the slow cooker bowl. Add the chicken broth. 4. A half hour before serving, in a small bowl, mix together the sour cream and the heavy whipping cream. Set aside for the moment. 5. In another small bowl, mix together the cornstarch with 2 tbsp of water. Mix well. 6. Add the whipping cream mixture to the mushrooms, along with the cornstarch slurry. Return the lid and cook on high for another half hour or until the soup thickens slightly. « TONS of simple back to school breakfast ideas! !